Courtesy of Keller Williams Frisco Stars, Caralee Gurney. This is the perfect family home! Upstairs game room and media with 3 spacious bedrooms and 2 full baths. The xD; xA;Master is downstairs and overlooks the backyard. Master shower has upgraded tile flooring – New designer paint throughout the home – Gorgeous kitchen countertops with upgraded pendant lighting! The office greets you by the front door. This is an excellent entertaining home. Arriving soon is the new park located right out the back gate of your new home! Your kids can walk to school or to the park with ease. The park will include nature-themed play area, 2 pools, basketball court, walking trails and more. 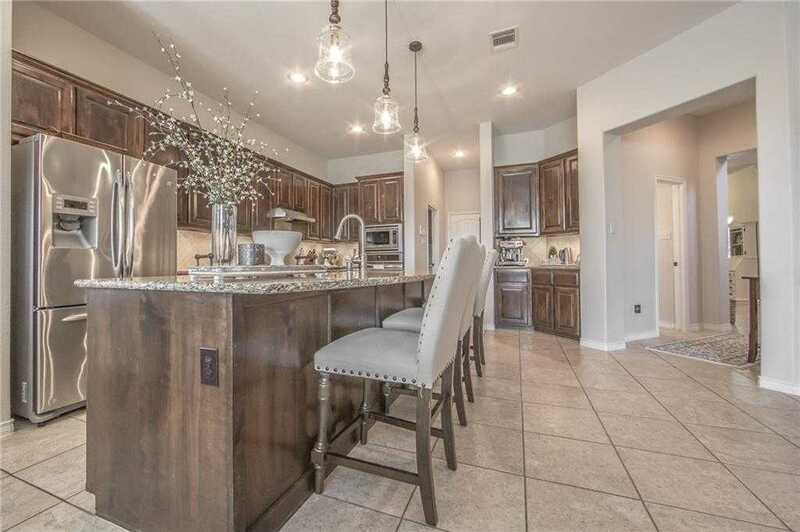 Home zoned to new Prosper elementary school. Owners are sad to leave this great neighborhood!